It isn’t a noisy blockbuster with shrill bells and whistles; it is a smartly made drama with a dash of redemption, a healthy chunk of political history and a level of tension cranked up to the zenith. ‘Thirst’ is an enjoyable but flawed experience, a stark, spooky drama with lashings of gallows humour that make up for its slight dips in story and style. 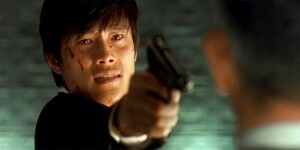 There is, therefore, no surprises in this Korean blockbuster. Yet the winning entertainment value that Kwon Hyeok-Jae imbues his film with renders all of these minor inconveniences mostly irrelevant.